Pac-Man, as we all know or should know, is one of the most famous video game characters and has one of the most popular arcade games of all time. Even I plop down a few quarters to play some of the original Pac-Man arcade game from time to time. Pac-Man has usually done well when it stuck to its arcade roots in the later games. One of the most addicting games in the franchise is Pac-Man Championship Edition. I would highly recommend this game if you want some addicting fast paced arcade gameplay. Pac-Man is no stranger to trying something different, but it hasn’t always worked out for him. Sure, some of his endeavors into different kinds of genres, like 3D platforming and a point and click adventure game, hasn’t always struck the yellow orb high praise. 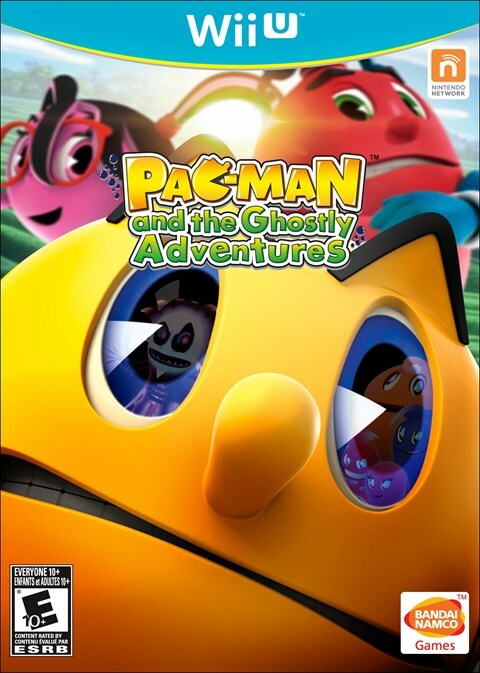 Let us take a look at his most recent endeavor with the game based off his show, Pac-Man and the Ghostly Adventures. I haven’t seen the show itself, but I was kind of hyped for this game, which was a 3D platformer. It is one of my favorite genres, and I have loved them ever since I got my Nintendo 64. Let’s see how his most recent adventure pans out for him. The story, of course, revolves around Pac-Man, voiced by Erin Mathews. One day, the world that they live in, Pac-World, is attacked by an army of ghosts lead by Betrayus, voiced by Samuel Vincent. Apparently, Betrayus has an evil plan up his ghostly sleeve, and it is up to Pac-Man and his friends to stop him and save the world. I am going to be as nice as possible about the story. It is one of the biggest wastes of space I have ever experienced. The game expects you to know about the cartoon show that is currently airing to know about the characters already. Well, I didn’t know it was going to be literally based off the show. This resulted in me not really caring or feeling invested with the characters. It doesn’t help that the story doesn’t really go anywhere. What about the ending? Yeah, it is one of the worst endings ever. Once you go through the entire game, there is no reward. No payoff that makes your play through of the game worthwhile. You end up wasting your time and losing the few hours it takes for you to beat this game. 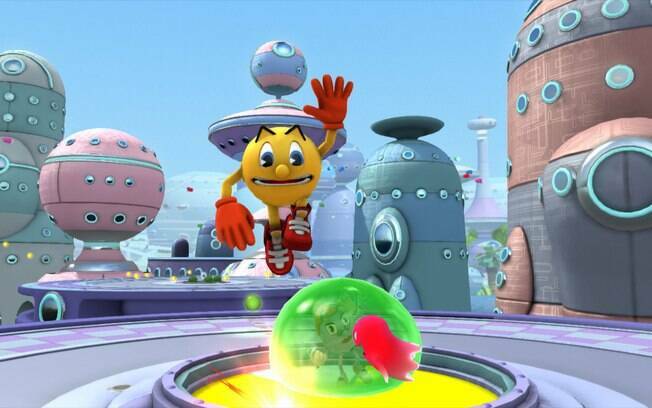 Pac-Man and the Ghostly Adventures is a 3D action platformer, like Mario or Ratchet and Clank. You will go through levels jumping, eating ghosts, picking up fruit, coins, and power ups while fighting a boss every so often. The main gameplay mechanic is when you pick up power berries. You get about six or so different power berries giving Pac-Man a different ability. Some of these abilities include being able to float into the air, spin around like Taz from Looney Tunes, wield the power of magnetism, freeze enemies, have the abilities of a chameleon, and you get the idea. 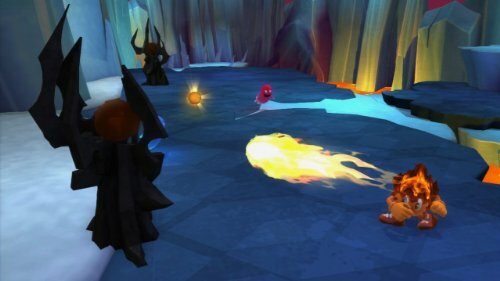 You will be able to use these powers to do different things in certain levels, like using the ice ability to freeze lava platforms or using the chameleon tongue to swing off poles. You will also be collecting pellets to unlock the levels and certain food items to refill health or give you an extra life. There is also a multiplayer mode where you play as the ghosts running away from Pac-Man. The game is extremely short at about four hours or so. There isn’t a whole lot of replay value either. The graphical presentation is actually not that bad. It’s bright, colorful, and lively. There was some thought put into this game. Sure, it could look better, but for what we got in the graphics department, I think we got a solid looking game. The voice acting is annoying; it feels kind of soulless at times, but I will say there was at least one time in the game where they actually did a decent job. The music is forgettable. It sounds like the most forgettable songs from Kirby games were chosen and put into this game. Yeah, I have a lot of bad things to say about this game. This game is just soulless. There are glimmers of creativity here and there, but something must have been holding the team back on going all out with the game mechanics. There was either a budget limit, time limit, or some kind of rules to stay loyal to the TV show. If they weren’t stuck with basing the game around the TV show, I think the creative juices could have really flown with some of these power berry moves. I mean, the team behind the game could easily be not that talented, but I don’t want to feel like they had an incompetent team behind the game’s development. The payoff for playing the game is not worth it. The ending is unfulfilling almost to an offensive level. I felt like I wasted my time playing this game, and I don’t want to feel like I wasted my time playing a video game. I want to say everything else that is bad about this game, but as you can tell, I already said it and I don’t want to repeat myself too much. What else can I say about this game? I mean this in a bad way. This is a shame because this was a year of great platformers. However, I think this game never had a chance since it was going up against Puppeteer, Rayman Legends, and the soon to be released Super Mario 3D World. Even if it was released next year, it would have to compete with Donkey Kong Country Tropical Freeze. This game is a lose-lose situation no matter how you look at it. Like I said, there is some creativity in the platforming and is this by no means the worst game of 2013. I will say this game is only worth one, and I mean one, rental. If you bought this game, well, I think you need to keep the receipt and return it for a better game. This is once again another failure Pac-Man can add to his resume. Maybe in the future we will see a good 3D platformer, but Namco will have to really convince me that they can make a good 3D platformer. This game gets a 4 out of 10.